NASA’s next spacecraft going to Mars arrived Friday, Aug. 2, at the agency’s Kennedy Space Center in Florida, and is now perched in a cleanroom to begin final preparations for its November launch. The spacecraft will conduct the first mission dedicated to surveying the upper atmosphere of Mars. Scientists expect to obtain unprecedented data that will help them understand how the loss of atmospheric gas to space may have played a part in changing the planet’s climate. Over the weekend, the team confirmed the spacecraft arrived in good condition. They removed the spacecraft from the shipping container and secured it to a rotation fixture in the cleanroom. In the next week, the team will reassemble components previously removed for transport. Further checks prior to launch will include software tests, spin balance tests, and test deployments of the spacecraft’s solar panels and booms. Previous Mars missions detected energetic solar fields and particles that could drive atmospheric gases away from Mars. Unlike Earth, Mars does not have a planet-wide magnetic field that would deflect these solar winds. As a result, these winds may have stripped away much of Mars’ atmosphere. 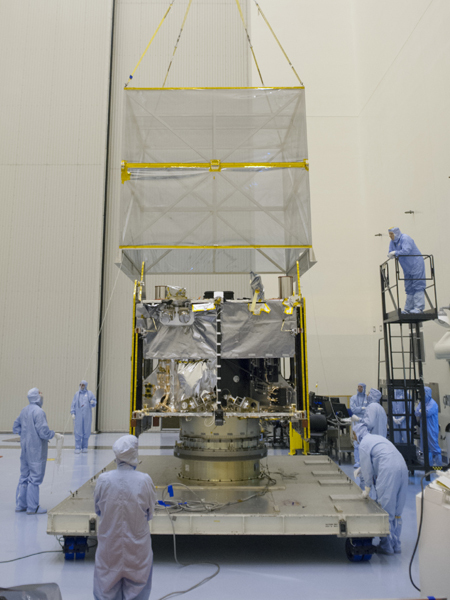 MAVEN’s data will help scientists reconstruct the planet’s past climate. Scientists will use MAVEN data to project how Mars became the cold, dusty desert planet we see today. The planned one-year mission begins with the spacecraft entering the Red Planet’s orbit in September 2014. MAVEN’s principal investigator is based at the University of Colorado Laboratory for Atmospheric and Space Physics in Boulder. The university provides science instruments and leads science operations, education and public outreach. 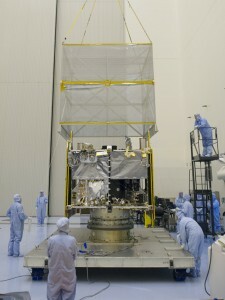 Goddard manages the project and provides two of the science instruments for the mission. Lockheed Martin built the spacecraft and is responsible for mission operations. The University of California at Berkeley’s Space Sciences Laboratory provides science instruments for the mission. NASA’s Jet Propulsion Laboratory in Pasadena, Calif., provides navigation support, Deep Space Network support, and Electra telecommunications relay hardware and operations. To read the original NASA feature, please visit: http://www.nasa.gov/press/2013/august/nasa-begins-launch-preparations-for-next-mars-mission.